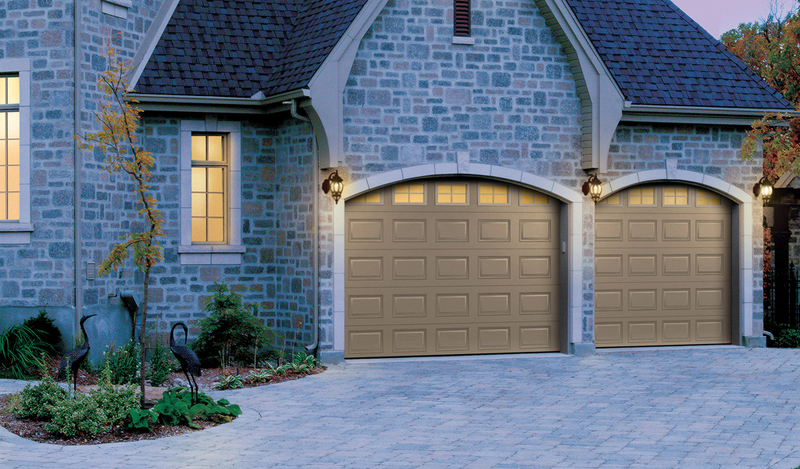 Bring beauty and functionality home with a new garage door. To best enhance the architectural style of your home, your garage door should harmoniously compliment the overall design and decor. 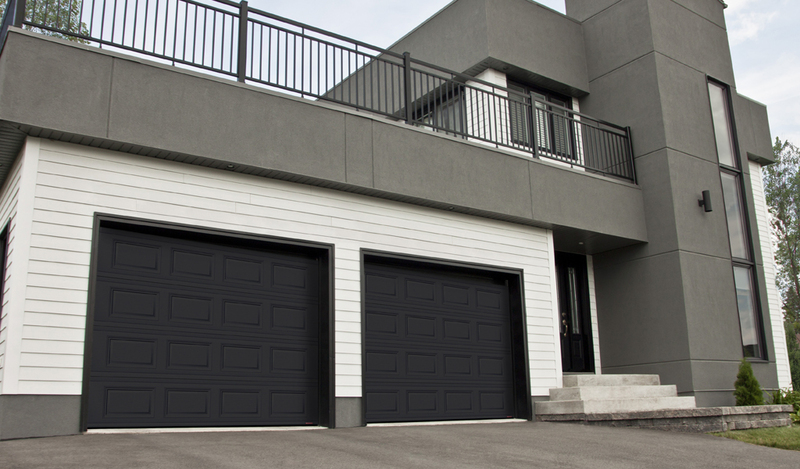 A home's garage door can become a beautiful focal point for your property. 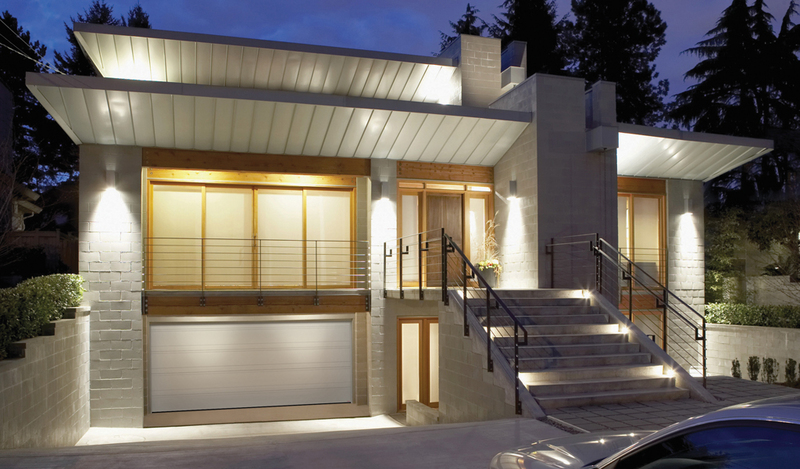 The garage door area can take up to nearly 40% of the total facade – so every detail counts. Whatever your budget, Lancaster Door Service can provide you with multiple configurations to choose from in colors, models, and styles. We invite you to visit our showroom at 1851 Lincoln Hwy East in Lancaster. Our friendly staff will be happy to discuss your ideas and requirements. 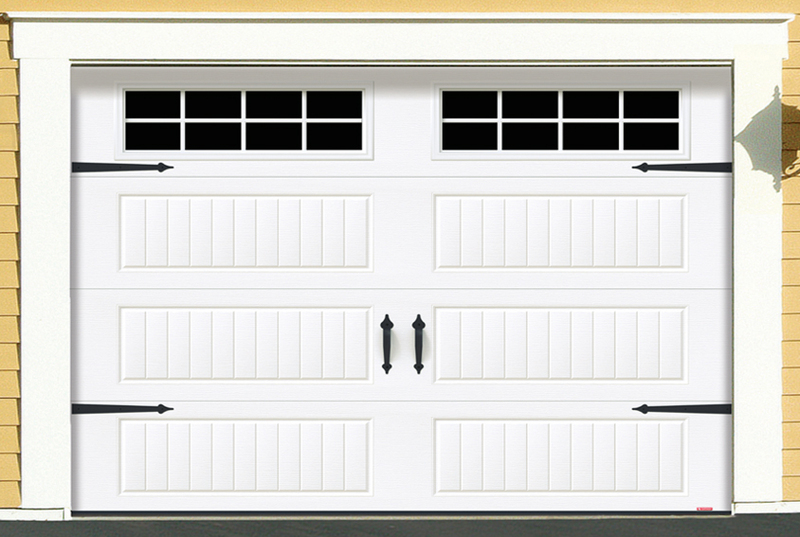 We carry an assortment of quality garage doors, openers, accessories, and garage door hardware. Our experienced staff will discuss your project with you and show you examples of the extensive selection of models to choose from. From carriage house style doors, contemporary models, traditional beauty – to an array of panel designs and colors – we will help you find the options that best suit your needs. 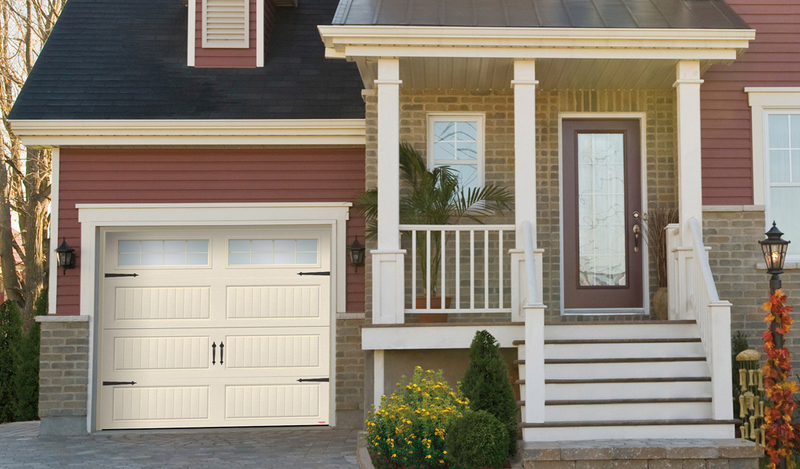 We can explain energy efficiency, warranties, and work closely with you to refine your choices via the Garaga® Design Centre application to see an actual “picture” of what your new door will look like on your own home or building. Available with a variety of Panoramic windows, you can also have the Cambridge™ without windows for a fashionable and modern look. 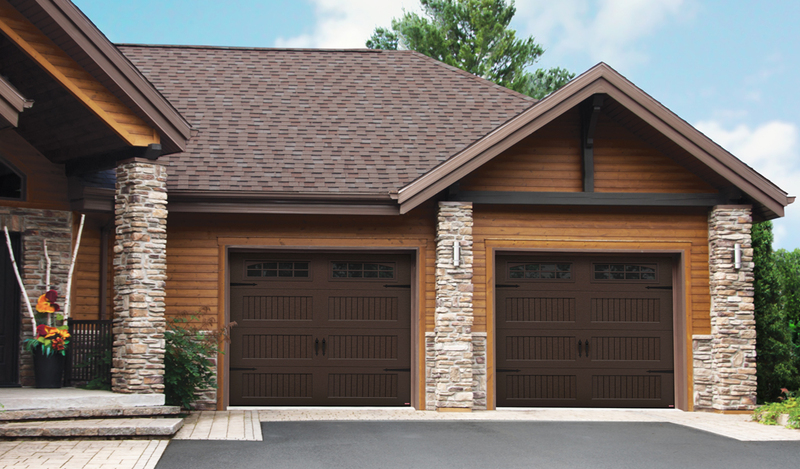 Recalling carriage house doors of yesteryear, the traditional Eastman® Estate garage door is nonetheless made in steel, insulated with polyurethane, and comes in 6 model patterns, 8 colors, and an appealing choice of decorative hardware and windows. With more than 500 possible style combinations, visit our Design Centre to find the Eastman® Estate that will be perfect for your house. 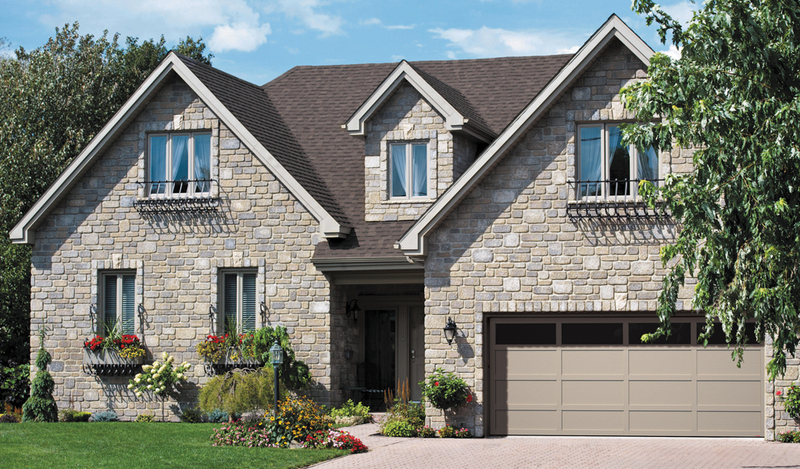 The North Hatley® reflects one of the latest trends in architecture. 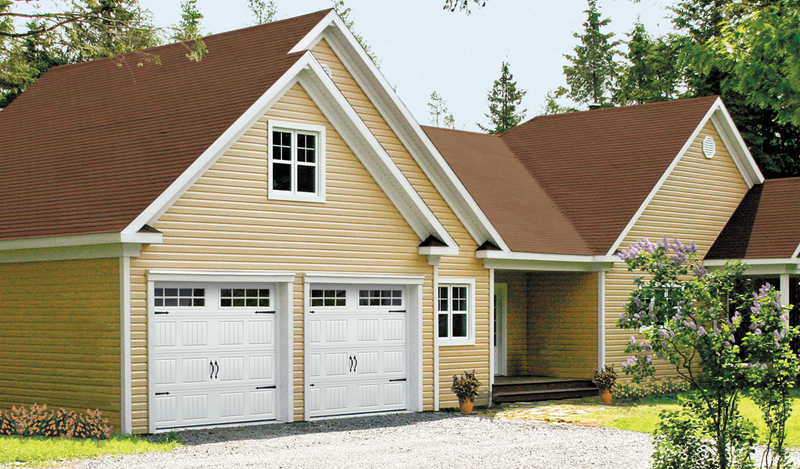 A perfect blend of the classic charm and traditional elegance of carriage-house doors, it comes with the superior Garaga® durability and high-energy efficiency. The Stratton 138™ is the ideal choice when looking for that extra touch of architectural elegance for a lower budget project. A favorite choice when superior insulation is not a top priority, but solidity and design is! The H-Tech door is lightweight, extremely energy efficient and lends itself to the style of most home. 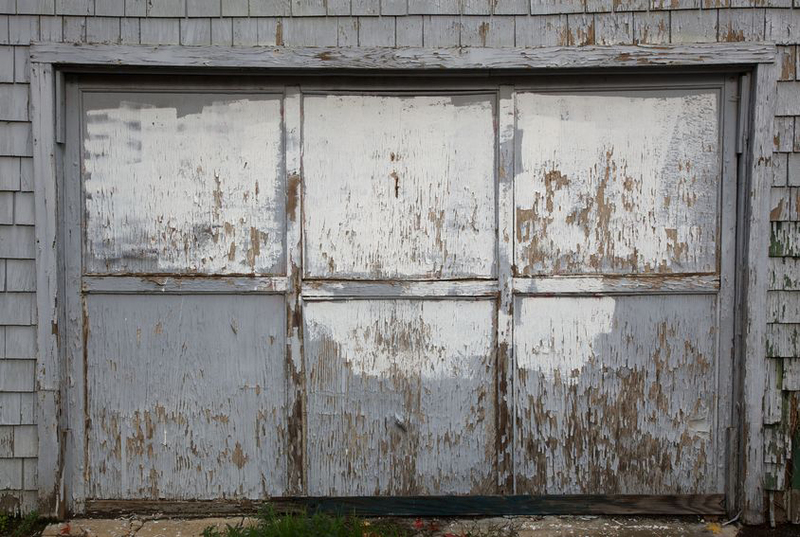 The timeless design of this rustproof aluminum garage door boasts a rustic textured wood grain, and is available in 6 colors. The Acadia 138 is the only solution when wanting to add uncompromising style and beauty to your home without sacrificing superior Garaga quality and durability. This door is designed to withstand any environment where superior insulation is not a top priority. Incorporating the benefits of Garaga® engineering, the overall energy efficiency of the Triforce® brings the category of polystyrene-insulated doors to a level that exceeds industry standards. 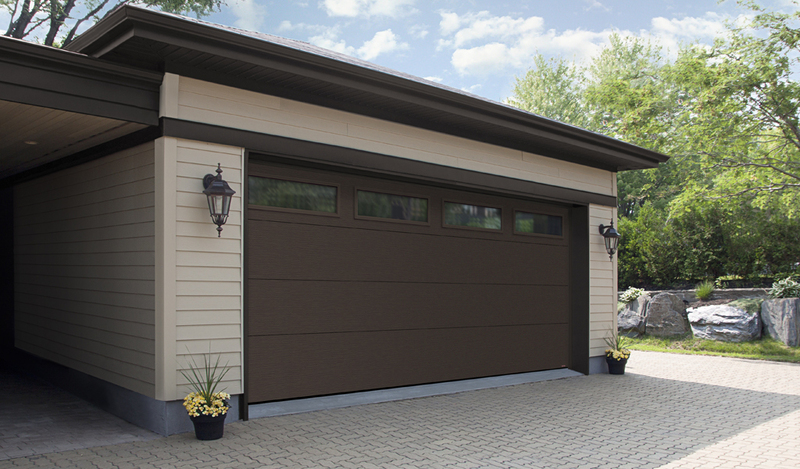 Without sacrificing choice, durability or beauty, this garage door is a more affordable solution for maintaining all the comfort of a heated garage. The Dualforce® is made with steel walls and a layer of polystyrene. It comes in a choice of 4 colors and 4 models. 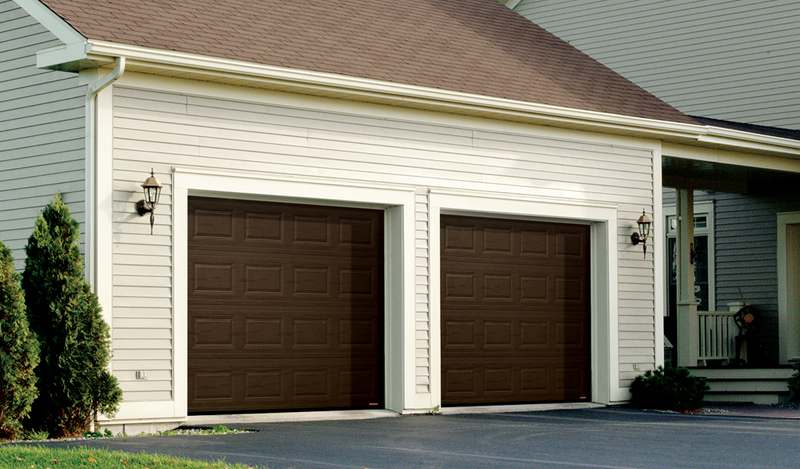 If you don’t heat your garage regularly, the Dualforce® garage door is perfect. It is also an affordable solution if you want to reduce noise coming from your workshop or unheated shed. 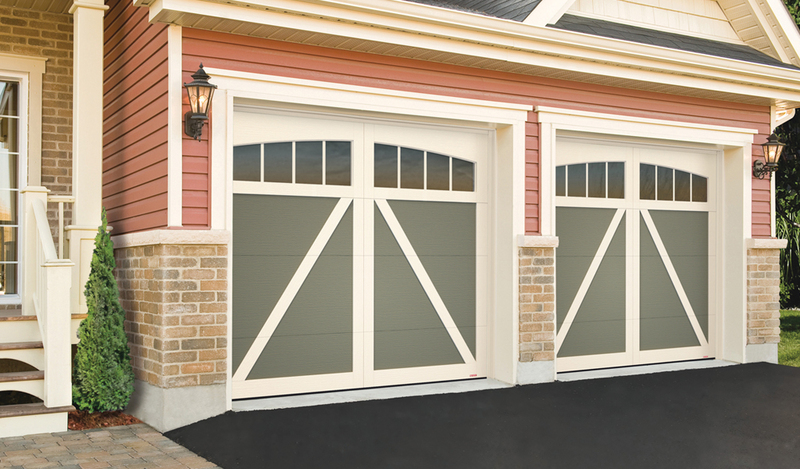 The Uniforce® is a non-insulated steel door. It is available in a selection of 4 colors and 3 models. 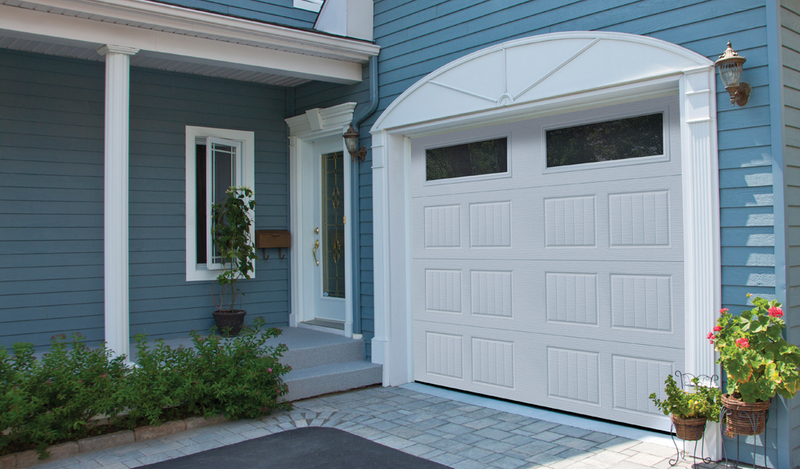 If all you want is an attractive door to safely protect your garage or garden shed, the Uniforce® is a perfect fit.